Ben and Pappa had a good time last night playing with a tiny flashlight and long exposures in the dar cellar. 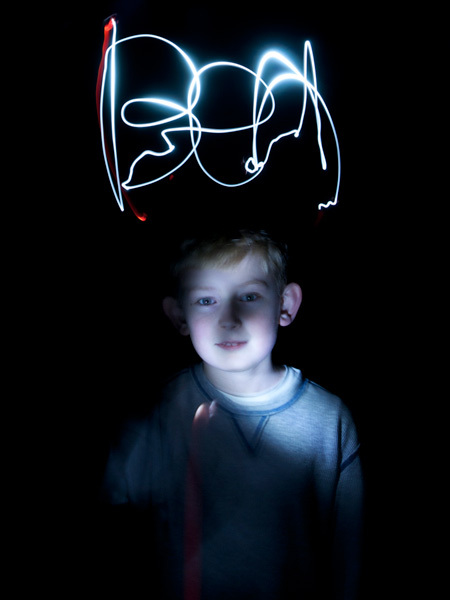 Pappa did the shutter release and Ben did all the light work - he did a pretty good job writing his name backwards. The red streak is the light coming through his thumb as he had put his thumb over the flashlight. It was a tiny one bulb LED light. He waved it around to expose his face.